There’s been a veritable baby-boom around here lately. My sister gave birth to my beautiful nephew Elijah in January, my friend Lizzie is having a baby girl any day now, another friend is due to give birth to twins in a few months, and my dear friend and college roommate Deborah is having her first daughter in late summer. 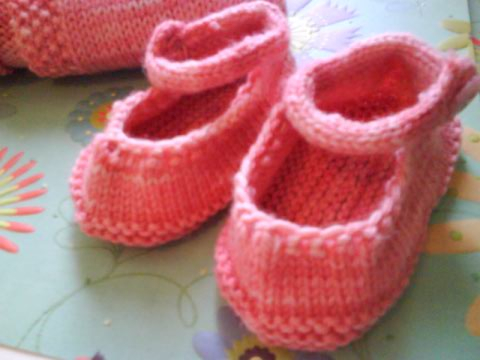 It’s been a factory of tiny knitted things around here lately. These are for Lizzie’s Alice, who I hope to get to see before too long. 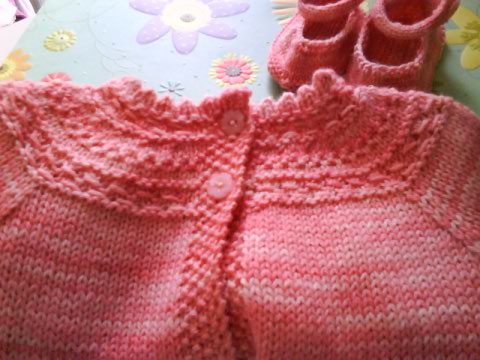 This was a lovely pattern to knit, with just enough detail to keep it interesting. 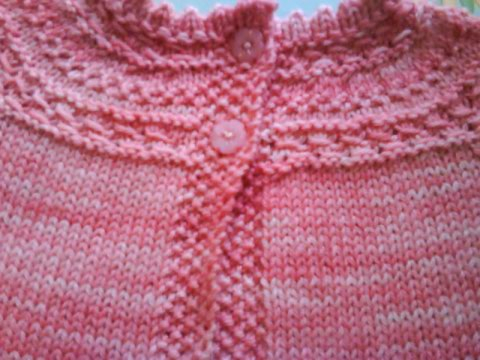 I was lucky to find some vintage-y pink buttons that worked well with the soft pinks of the yarn and the delicate stitches and picot incorporated in the yoke. And there was plenty of yarn left to keep Alice’s toes warm, too. Oh how adorable! 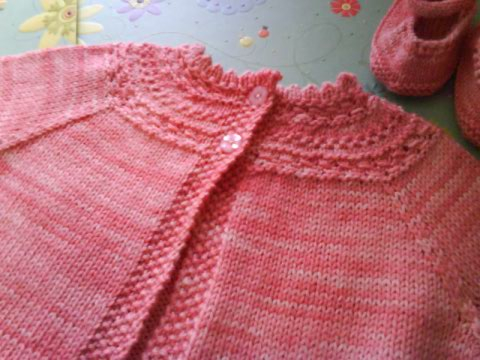 Alice is sure to look Gerber-baby beautiful in this outfit and I LOVE the buttons.